The top match of the 3rd round of the Jupiler League championship round will be held in Bruges, where champions will receive Standard Liège. It’s a duel that has been a hot topic in the past. The already heartfelt aversion between the clubs learned about a year ago once again a major update. At that time, Club Brugge secured just in Liège on the penultimate matchday of the playoffs the title by a 1-1 at the direct pursuers. A draw, which was also due to a controversial hit came about as the compensation preceded a handball by the club player Ruud Vormer. Whether intentional or not, has since been a matter that is still zealously debated. For Bruges it was the 15th championship and the second in the last three seasons. Currently, the clubs are again table neighbors, but this time in the hunt for the KRC Genk united in the pursuit role. At Brugge vs Standard Liège, the odds see the hosts in a favorite position for the win. However, our recommendation is that both teams to score and over 2.5 goals. For both teams is considering the playoff situation and the table situation only one victory. In addition, the pairing traditionally includes numerous goals. The Brugge vs Standard Liege prediction provides for five units as an insert. The reigning champion is a permanent guest in the Jupiler League championship playoffs, finishing second after the regular season. Due to the regulation that the points achieved will be halved after completion, the gap to the first placed KRC Genk melted to four points. As a result, the Flemings have again been auspicious in the race for the crown in the Jupiler League. The start of the championship round, which provides for ten games, also succeeded befitting with a 3-0 home win against KAA Gent in the derby of Flanders. The victory could have been even higher, but Brugge also played an early red card for the guests in the hands. Last Thursday, Bruges scored the next victory. The 3-2 win at Anderlecht was the first win for rival from Brussels in over two decades! In the match against Liège, the FCB can now also put on his home strength, but in the meantime, in the last few weeks decreased slightly. So Bruges conceded two of his three Heimpleiten in the main season in 2019. With the RSC Charleroi and Royal Excel Mouscron these were also against opponents who did not even make it into the top six for the championship round. However, Bruges has shown at the start of the playoffs in the aforementioned 3: 0 against Gent that this phase of weakness is probably over. Especially the offensive is in the home games as against Ghent usually barely a nakedness. So she showed after the end of the regular season a proud average of 2.4 goals per match in the domestic Jan Breydel Stadium – league record! At Bruges vs Standard Liege, therefore, the odds for over 1.5 goals of the hosts are well worth considering. The longing for the next title with ten times master is very big. Since the double strike in 2008 and 2009, the fans of the Meuse have to wait a decade for a repeat. Last year it was almost enough due to a great championship round, but in the end three points were missing on Bruges. However, the Walloons had made up a good nine points in comparison to their opponents. The current cup winner started as Bruges with a victory in the current playoffs. Liège beat FC Antwerp at home in Maurice Dufrasne Stadium. However, in the light of the gameplay, the memories of the last year came up again, because the match was shot thanks to a great morale in the last 20 minutes. Playfully superior standard was also anyway. Last Wednesday, the team of Michel Preud’homme made a guest appearance at KAA Gent and took home the next three with a 2-1 win. A success, but this time it turned out very happy because the Flemish neighbor was at least draw and the decisive goal by the Romanian Razvan Marin fell in the 90th minute, moreover in the form of a penalty. The 22-year-old will not play for the Walloons next season, as his move to Ajax Amsterdam was announced just one day after the match. Especially outside strong Liège has not presented in the regular season otherwise. This is because the Rouges made the best home team, but played away only average on the outside. Only five wins succeeded Liège in the 15 appearances during this phase of the season. The final meeting for the time being also took place in Bruges and the Flemings made short work of Liège. With 3: 0 the match was won in early December 2018 and thus successfully revenge for the game in the first round, which ended with a 3-1 for Standard. In addition, Bruges won the opening of the current season in the Supercup 2-1 in front of their own backdrop. For Liège, there was otherwise no long-term success in Bruges. The last time this happened almost exactly six years ago. Since then, the balance for the Walloons has nine bankruptcies and three draws. From a statistical point of view, it is therefore understandable why the odds in favor of the hosts at Bruges vs Standard Liege are lost. Bruges is considered to be stronger in play than Liege, even though they are separated by only one point in the table. An example of this judgment is the offensive of the Flemings. This is much more flexible with the fire-threatening trio of Hans Vanaken, Siebe Schrijvers and the Brazilian Wesley. All three players have already hit double digits. Especially in front of their own audience, the attack series is always under power: So she scored in the main round, the highest average at own hits in the Jupiler League. The guests will also play offensively, as they are as described only one point behind the home side and two points behind the table leader Genk. That standard can handle the pressure in the crucial championship round, the team from Liège proved in the last season, when they had the strongest balance in the ten games of the playoffs. 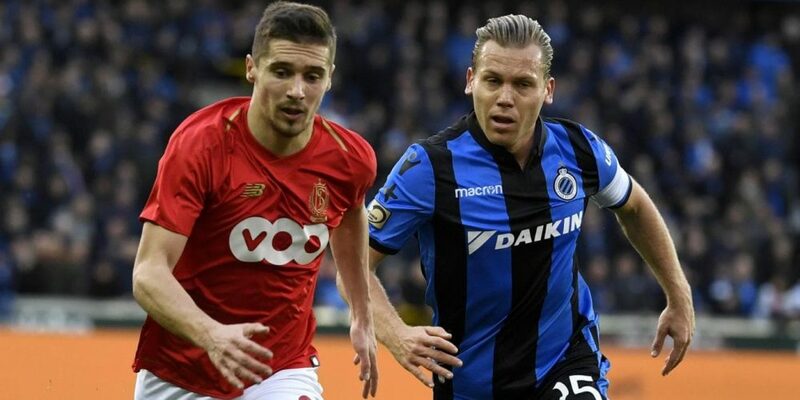 The odds against Brugge vs Standard Liège are in the direction of a home victory for the hosts, and benefits for them are quite evident, but Liège is a rip-off troop that likes to outgrow it when it matters. From the point of view of the betting base, the starting position of the game is thus less clear than the bookies suggest, and at Bruges vs Standard Liege the tip is instead that both teams to score and there are over 2.5 goals. An offensive exchange is to be expected. The fact that it rings on both sides, after all, was in eight of the recent ten home games of the champion against the Maas-Eleven the case. In addition, speaks for plenty of goals and the character of the championship round, at least at the beginning actually count only victories. This leads to much more offensive alignments in the games. For this reason, it is not surprising that five of the six previous matches in the playoffs ended with an average of over 2.5 goals and there was not a single draw.